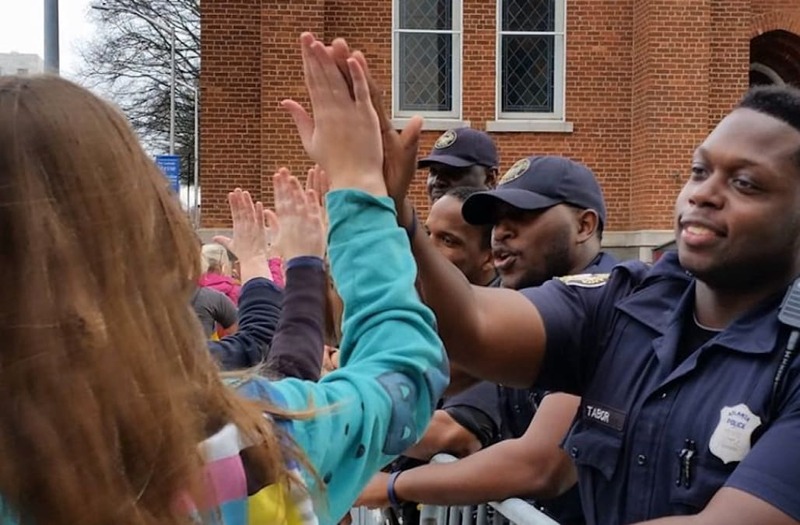 A Facebook video of police officers high-fiving and greeting demonstrators during the Atlanta March for Social Justice and Women on Saturday has gone viral. The video, posted by the Atlanta Police Department, also shows marchers hugging officers, shaking hands and thanking them as they marched. "For many decades, the City of Atlanta has had a history of peaceful protests and this video is evidence of how our police department has worked to develop a positive relationship with our citizens," the department told InsideEdition.com. The video has been viewed more than 1.3 million times. It's estimated that 60,000 people attended the peaceful march, police said.